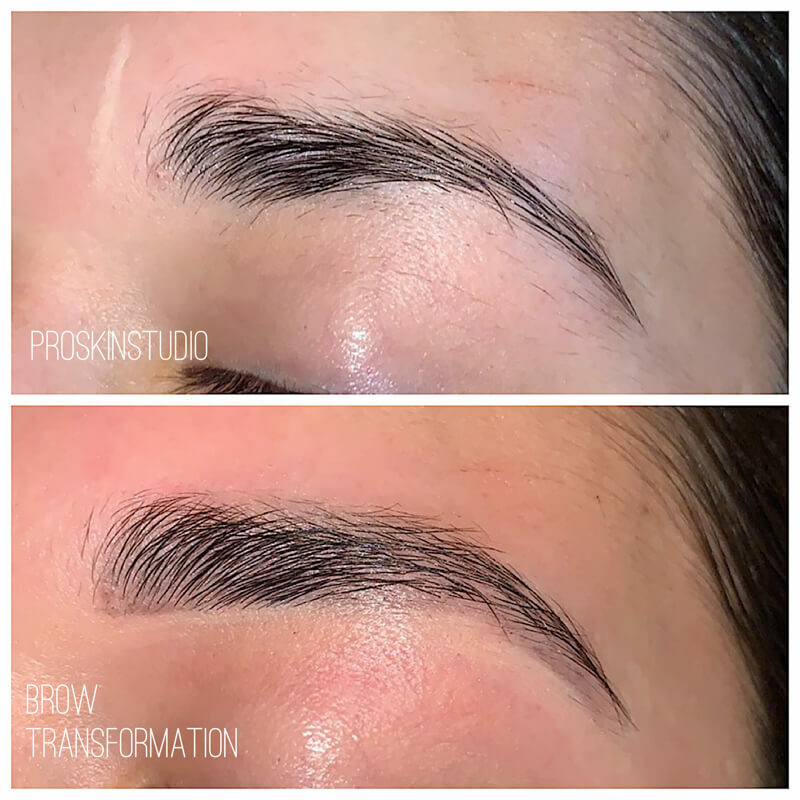 Pro Skin Studio specializes in brows! We’re serious about your brows, and have the skills to prove it! Even a naturally beautiful shape can be further elevated with crisp lines, highlighter and a defining fill. On the other end of the spectrum, if too much DIY has resulted in ‘what have I done’, we’ll put you in brow rehab, complete with a proven growth serum to assist you in re-growing your own brows! Keep in mind, severely over-tweezed brows can take up to 9 months to recover, and if the damage to your hair follicle is too severe, they may never recover fully. No matter the case, we will do everything we can to help you have your most BEAUTIFUL brows ever! Whether you can’t fathom leaving the house without lipstick or favor organic beauty, brows speak for themselves. Keep them in shape with bi-weekly or monthly grooming appointments. Brows less than stellar? Join our Brow Boot Camp and receive a brow growth serum, brow pencil and instructions on how to camouflage sparse brows while growing yours out! No brow design is complete without a tint! It defines the eye, highlights a beautiful shape and shaves time off of your morning routine. Particularly for fairest haired and busiest amongst us, a lash tint is a game changer. *Sanitation is a serious priority at Pro Skin Studio. Gloves are always worn, wax application sticks are never used more than once, and all reusable implements (such as tweezers, brushes and brow pencils) and work surfaces are disinfected between each and every client.